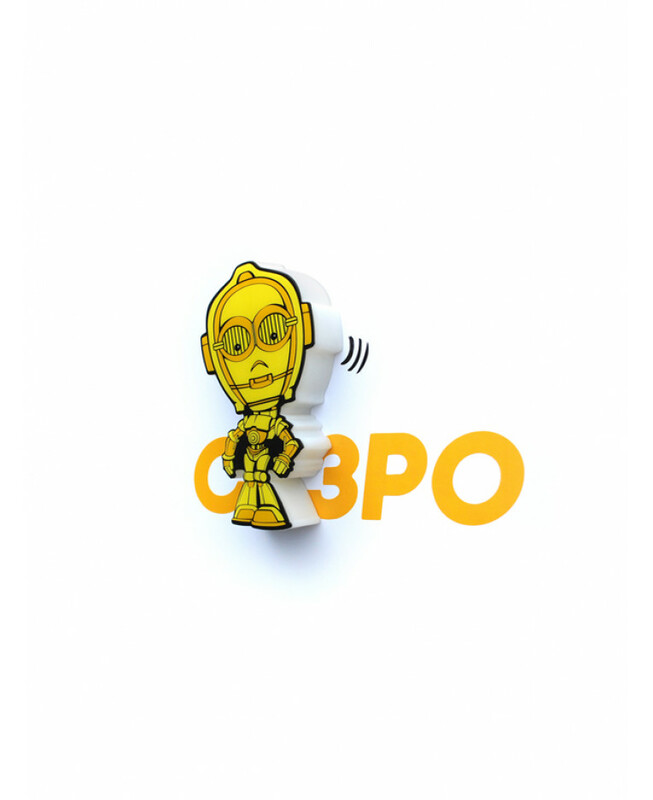 This Star Wars Mini 3D Wall Light acts not only as a comforting nightlight but as an awesome feature in any child's bedroom. 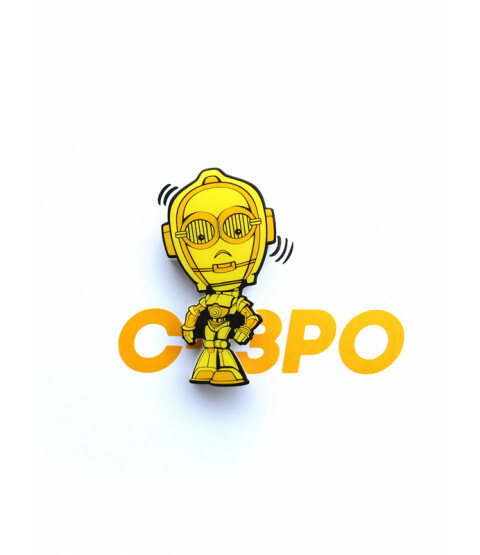 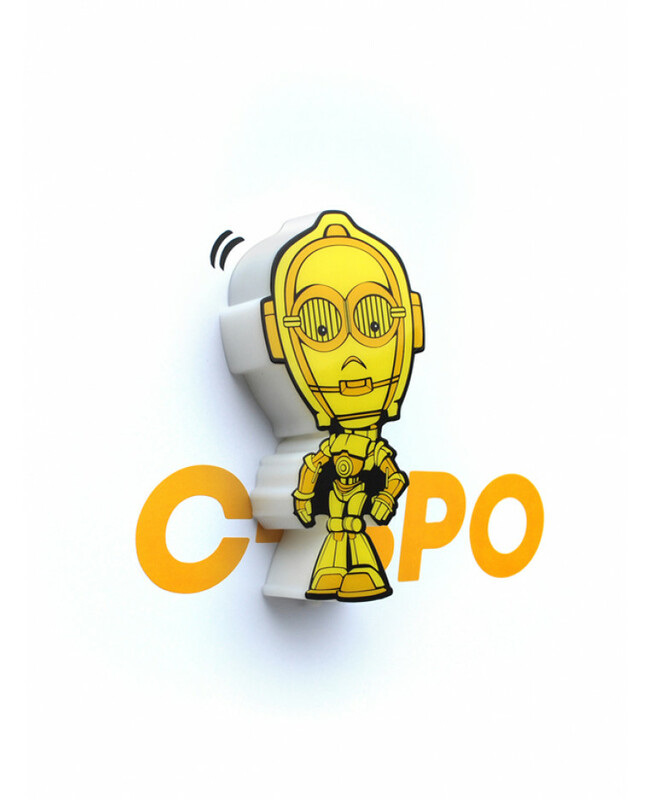 The wall light is shaped just like C-3PO and comes with a C-3PO name sticker which allows you to position the light correctly on top of it. 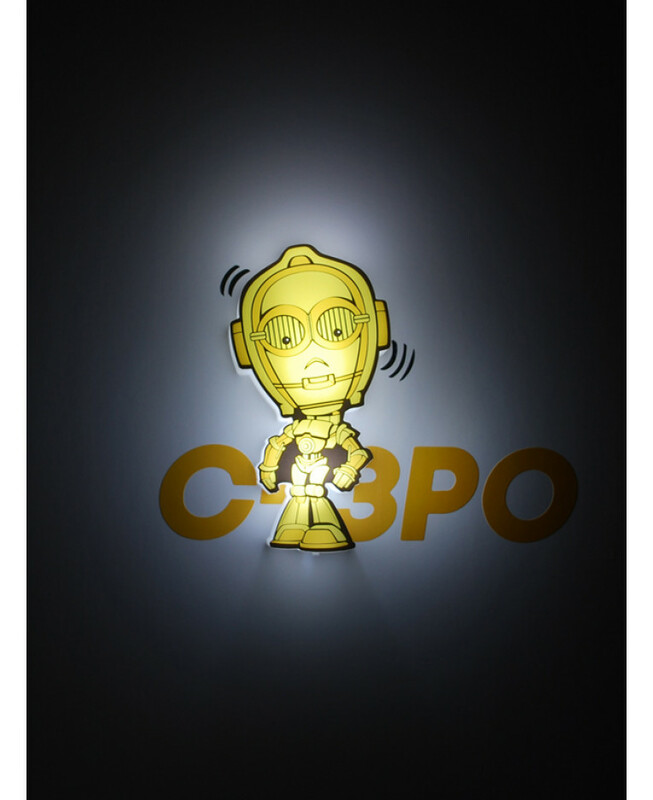 Designed with safety in mind, the light is cordless, battery operated and stays cool to touch. 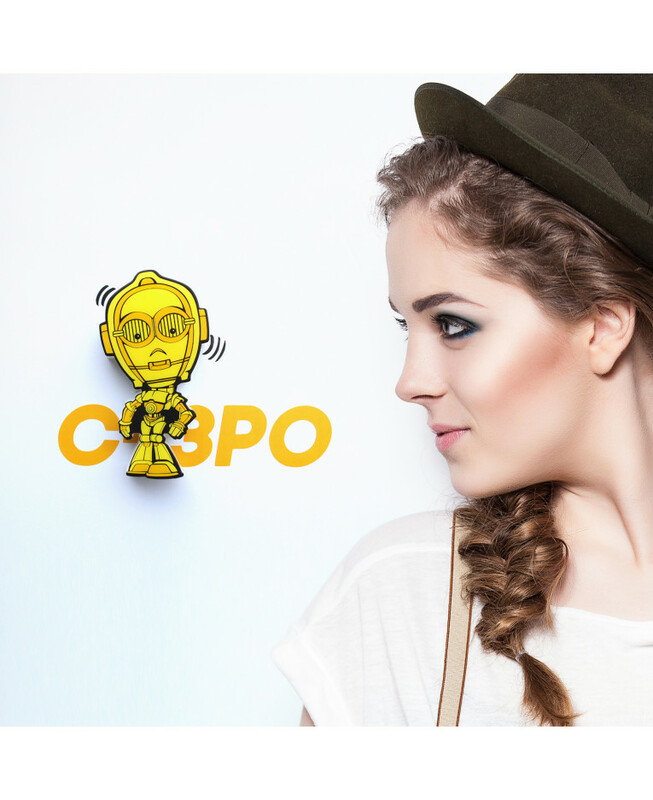 The wall light also comes with everything for an easy installation and long lasting LED bulbs which will never require changing.